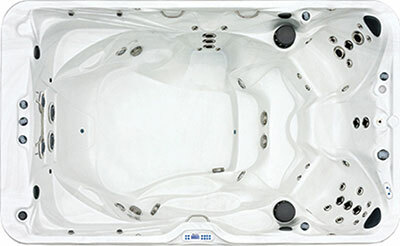 Smaller than the AQ14 (by 2 feet), the AQ12 or AQX12 is a fully featured swim spa, very conveniently sized and easy on the budget. The AQ12 has the same construction and features as the AQX12 except it does not come with Deluxe Stereo System or Exercise Equipment System, both of which can be purchased separately as options. 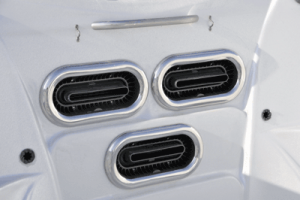 Up-Grade to 3 River Stream Jets and Additional Pump.